You and your spouse have separated. Tempers are flying high and you feel a complete loss of control over your life, and maybe your children’s lives. Your spouse won’t listen to reason and is poisoning the children. In such situations, it’s certainly easy to get caught up in all that anger, disappointment and betrayal and to believe that taking your spouse to court is the only solution. But one very important thing that many clients do not realize is how much time is involved in litigating divorce cases. It’s not just the time your attorney needs to prepare your case that clients often underestimate – the time that it takes for the case to actually be heard by a judge (and to receive the ruling) may surprise you. And, as clients soon realize, time equals money, so legal fees increase as delay increases. The reality of how long it takes for your case to wind its way through Family Court is one of the major reasons why clients should seriously consider giving all settlement options a chance before deciding to litigate. 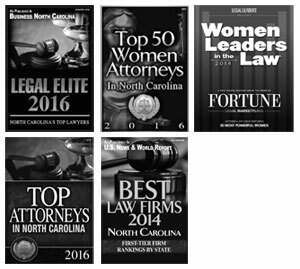 In North Carolina, every Family Court judge has a significant backlog of cases on his or her calendar. This means that, on any given day, it is highly likely that he or she will not be able to hear all of the cases scheduled for that day. It also means that the court hearings must be booked months in advance. In Wake County Family Court, judges often have 20 or more hours’ worth of cases scheduled for an 8-hour work day. Parties must schedule their cases approximately three to six months in advance to ensure a place at the top of the calendar. Even scheduling so far in advance, issues may come up which require your case to have to be rescheduled. So, for example, while Wake County local rules state the “goal” for the resolution of permanent alimony cases is 365 days and equitable distribution (property division) is 270 days, it isn’t uncommon for these claims to take much longer to be heard. Emergency or Peremptory Hearing Scheduled: There are certain family law matters that can give rise to urgent actions, such as complaints for domestic violence protective orders and emergency custody orders. One or more these emergency hearings may be placed ahead of your case at the last minute. Additionally, Wake County allows a judge to make a “peremptory” setting for cases that the judge feels need to be put at the front of the line, for a variety of reasons. 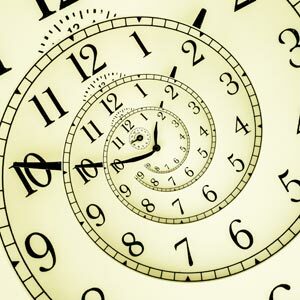 Prior Case Runs Over: While Wake County Family Court judges try to make sure the length of each hearing stays within the time limits set by the local rules or time estimate given by the attorneys (and most of our judges use a stop watch for this purpose! ), sometimes cases run over their allotted time. If that happens, the cases scheduled to be heard later may not be reached at all. Even if a case manages to be tried within the prescribed time limits, clients will likely pay a great deal of money for their attorney and any experts needed for trial. If a case is delayed, it means even more legal fees are incurred because attorneys must prepare again for trial before each rescheduled hearing by updating financial documents, re-interviewing witnesses, etc. While there are certainly cases which simply cannot be resolved without a trial, most cases can be resolved outside of court using settlement options. Parties can save a great deal of time and money by reaching a settlement, and below are some examples of the various settlement options available. Speak to one of our knowledgeable family law attorneys about which option might be right for your case. Negotiation: You and your spouse can negotiate an agreement between yourselves and have an attorney draft it, or you can each hire an attorney to negotiate an agreement of all issues. This is oftentimes an on-going process and can be utilized right up until trial. Mediation: In mediation, the parties and the parties’ attorneys hire a mediator (typically an experienced family lawyer) to facilitate a resolution of all, or just some, of the outstanding issues. Usually the expense of the mediator is divided equally between the parties. In Wake County, it is mandatory for the parties in an equitable distribution case to attend a mediated settlement conference and parties to a custody action must attend child custody mediation at the Wake County courthouse. While mediation is not mandatory for other financial cases, like child support or alimony, it can still be very helpful and many divorcing couples attend a mediation at which their case gets resolved. Even if a full settlement cannot be reached, parties can settle some issues, leaving less to be litigated at trial. Arbitration: Arbitration can be used in any family law matter such as custody, child support, alimony and equitable distribution. Under the Family Law Arbitration Act, parties may have their case heard by an impartial arbitrator outside of court. While the arbitrator has the power to make a binding decision in the case just like a judge would, the parties are allowed to choose the arbitrator and often the Rules of Evidence are far more relaxed. Additionally, arbitration allows for far more privacy than regular court, as the hearings take place in one of the attorney’s offices. If you would like to explore your legal rights and the proper avenue for resolution of your family law case, contact our office today to speak with one of our experienced attorneys.